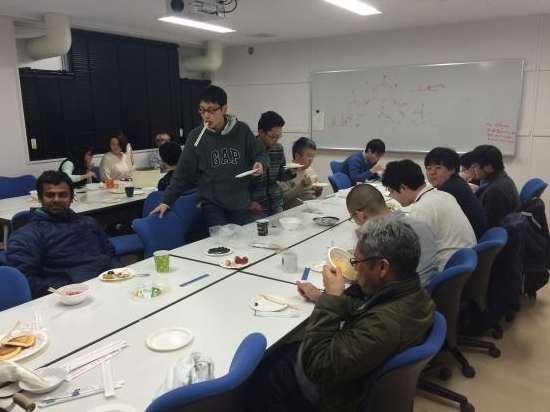 The annual food party was held on December 8th, Friday. 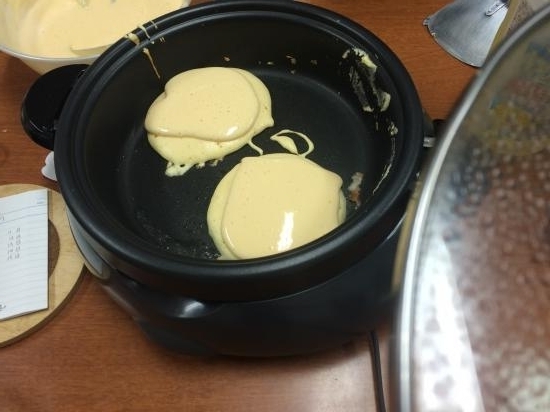 3rd grade students cooked various food mainly for Senpai in this party. 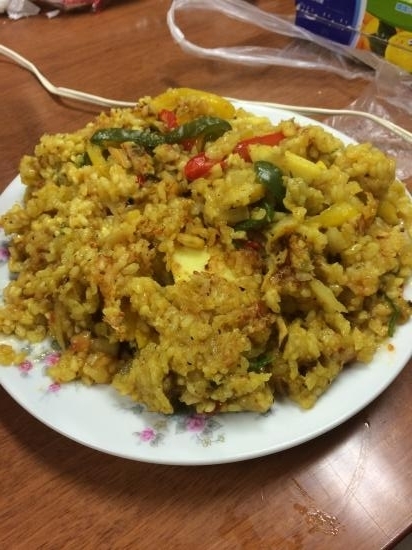 Halal Paella, Spanish rice dish. Taste was good, but the extent of hardness in rice was uneven. 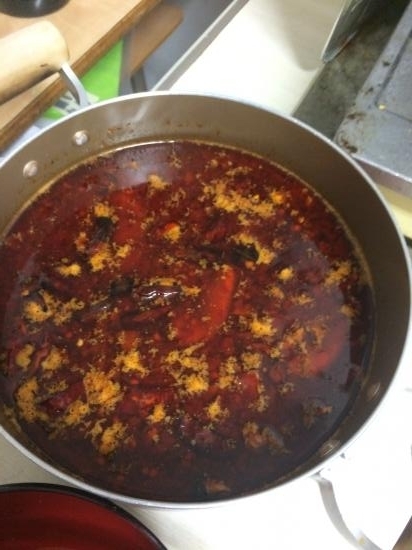 The real Sichuan style hot pot. Of course it was really hot, but so tasty with good smell. 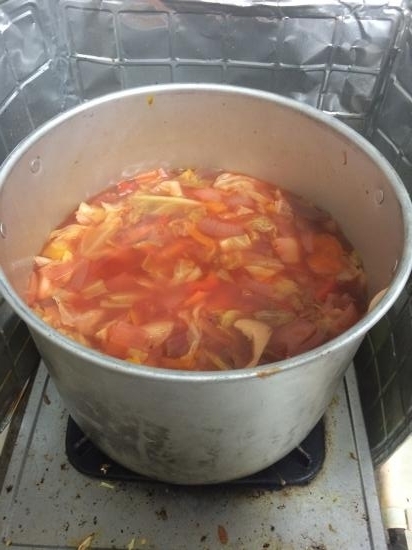 Halal Borscht soup, traditional Slavic food. I guessed I brought out the flavor of vegetable ingredients without meat. The way we were cooking pieces of pancake. 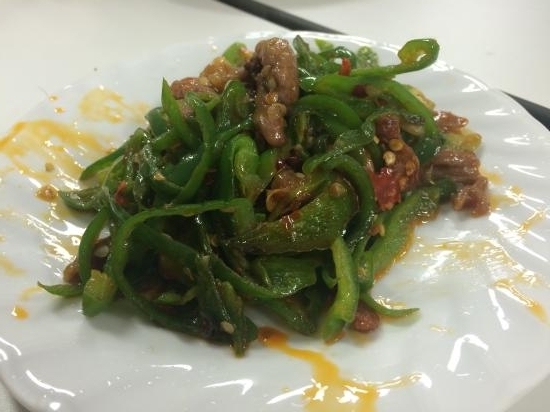 Sichuan style green pepper steak. It was a little hot. 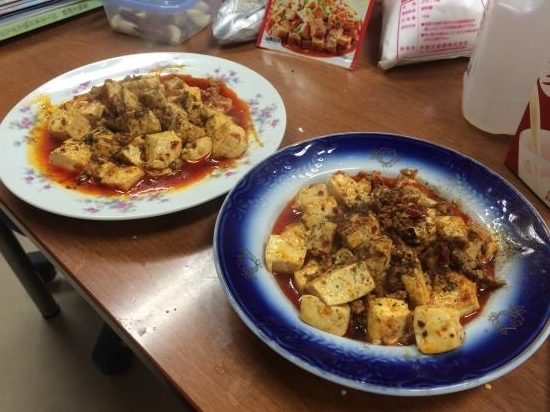 The real mapo doufu, Chinese food. The smell from peppers was good. 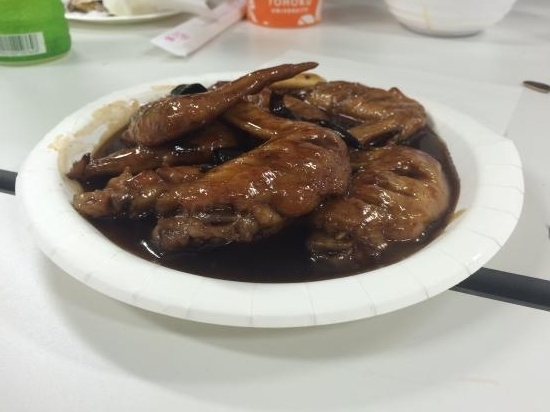 Chicken wings boiled with coke. It was more delicious than I expected. Also, we made cabbage salty salad as an appetizer though we don't have the photo. 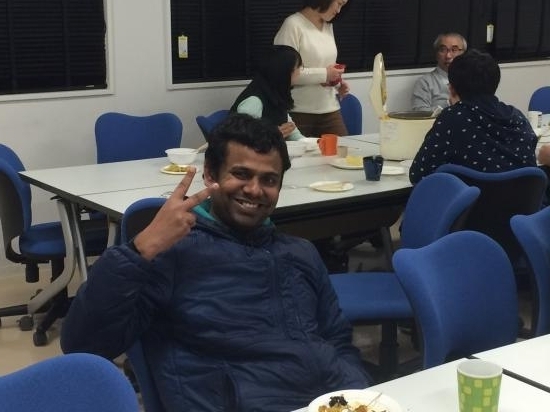 I was so glad that we enjoyed eating and talking in this party like these photos! copyright © 2019 美齊津研 blog all rights reserved.